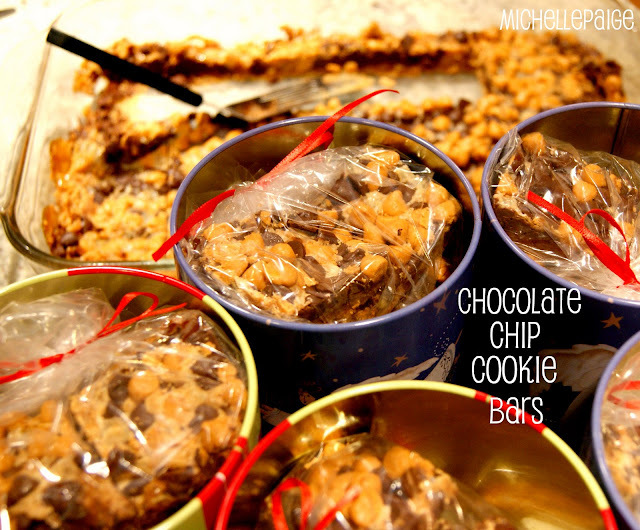 Need a quick treat to give? Need an easy dessert to serve for the week-end or take to a party? Soooo incredibly easy and delicious! This is one of our family's favorite! 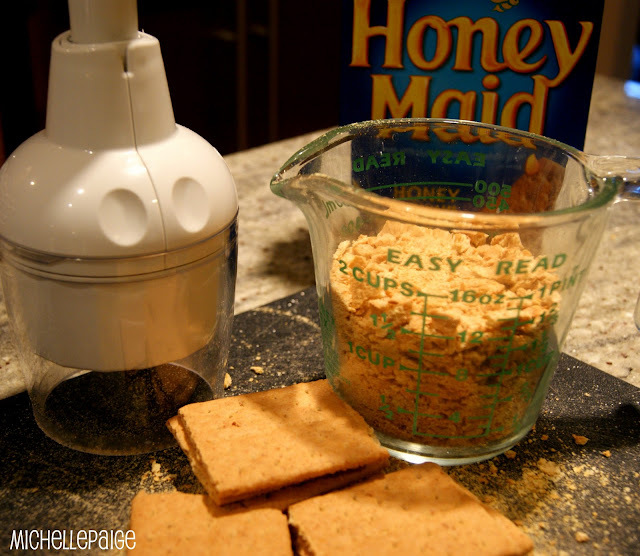 No one says you have to make a double batch, but I usually do (see picture). 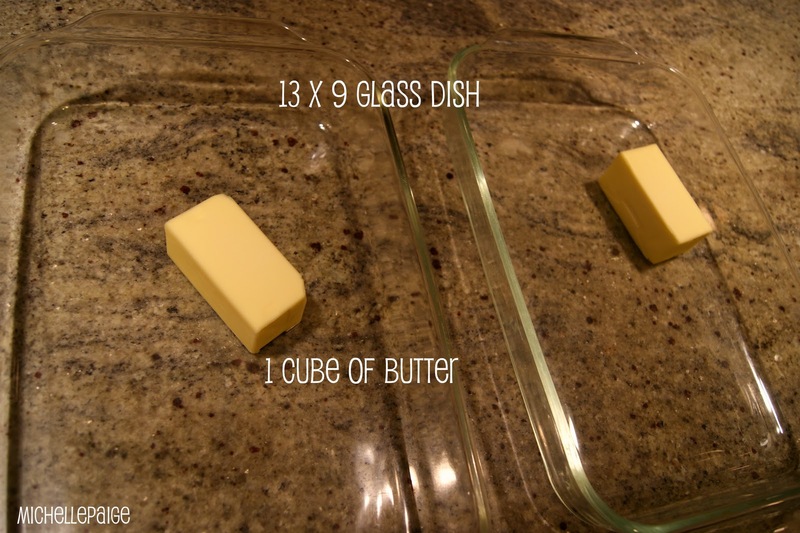 Using a glass 9 x 13 baking dish, spray the dish with non-stick cooking spray. Place a stick of butter in the dish and pop the dish into the cold oven. While butter is melting, start crushing your graham crackers. Get out the rest of your ingredients. 1 cup of butterscotch or peanut butter chips. Your butter should be completely melted by now. 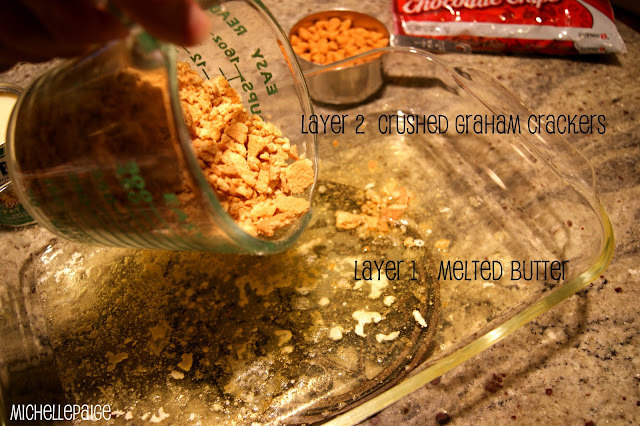 Remove from oven and evenly sprinkle on the graham cracker crumbs. 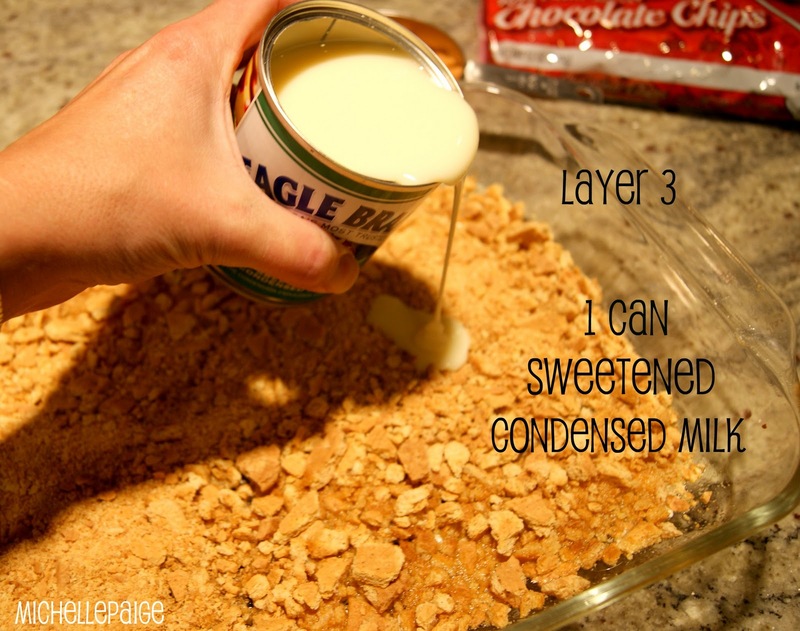 Next, pour on 1 can of sweetened condensed milk. Next, sprinkle on the entire bag of chocolate chips. 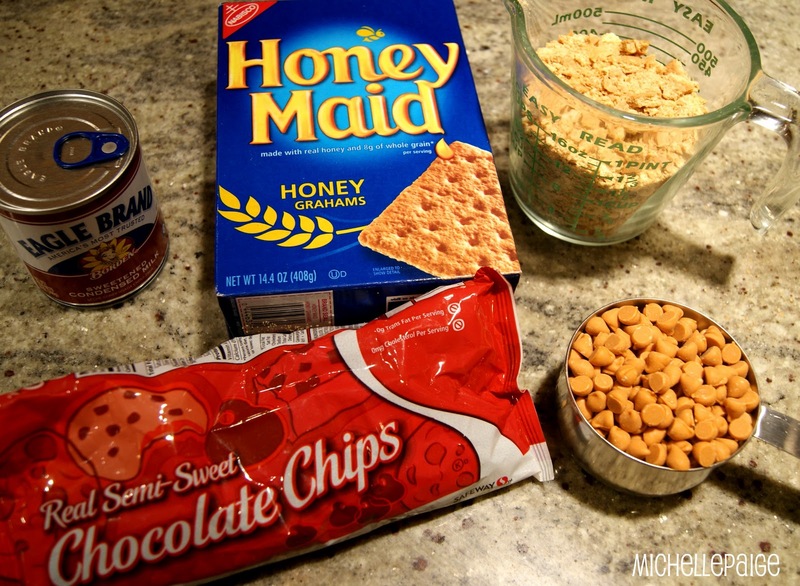 Last, sprinkle on the butterscotch or peanut butter chips. Bake in the warm (350 degree) oven for about 25 minutes. Remove and let cool before cutting into squares. Now, I challenge you to enjoy just one tiny square. It's best to package them up and give away! Directions: Place the stick of butter in a 13 x 9 glass dish and place in a 350 degree oven. Take out of oven when butter is melted and oven is preheated. Sprinkle the graham cracker crumbs evenly on top of the melted butter. 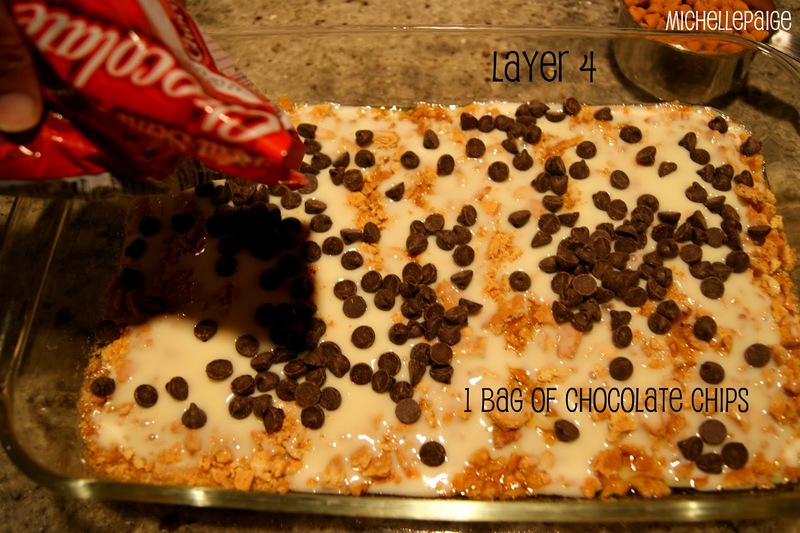 Pour the entire can of sweetened condensed milk on top of the crumbs. Spread evenly. 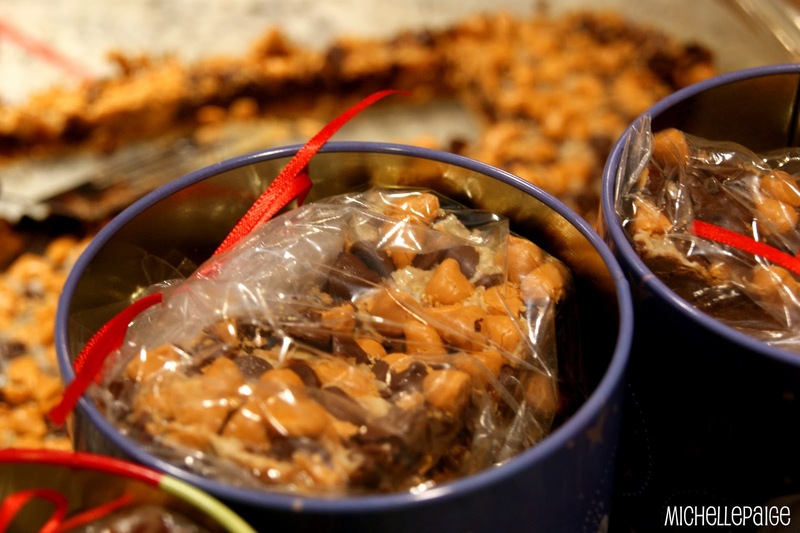 Sprinkle the bag of chocolate chips on top, followed by the butterscotch or peanut butter chips. Bake at 350 degrees for 25 minutes. Let cool, before cutting into squares. Don't forget to link up your projects to my Red, White, Blue & You Link Party! Have a wonderful Memorial Day Week-end! OOOOO EMMMM GEEEE! These look soooo good and seem so easy to make! I am going to have to try them! Need these NOW~!!! 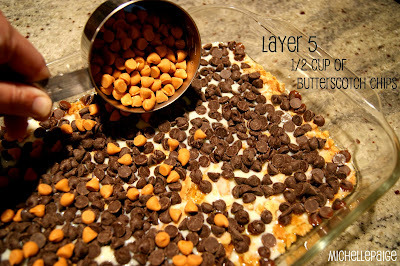 Michelle- I might have all those ingredients... and if so, I am making these in about 14 mins!! Thank you so much for sharing!! I am so glad I met you at Leah's party!!! I'm doing an "Under the Sea" volunteer tea on Thursday. Do you have any ideas? Kari- Did you get my e-mail from Leah? 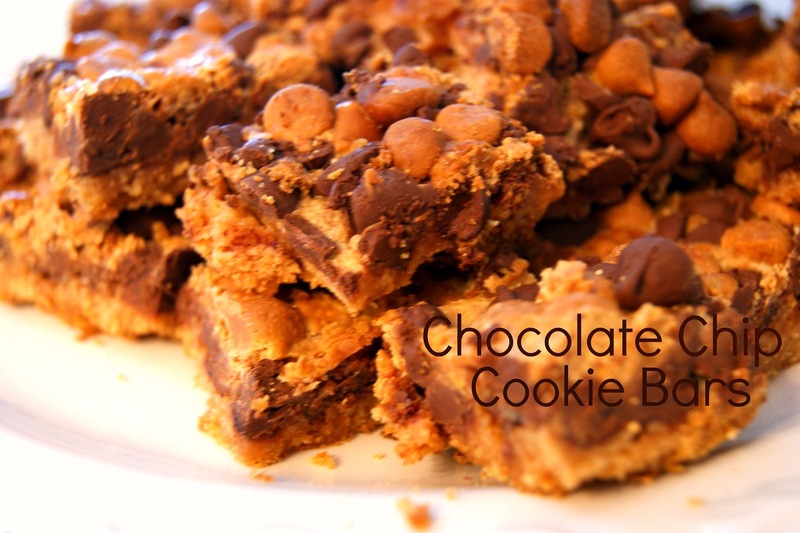 I've made some like these before with coconut and pecans added to the mix... So so yummy!